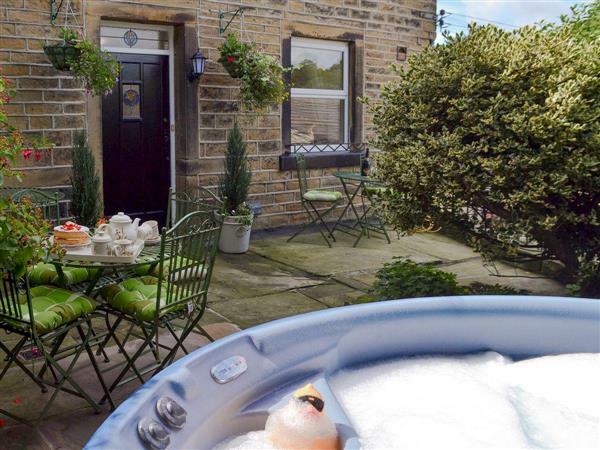 Shelduck Cottage in Holmfirth sleeps 6 people. 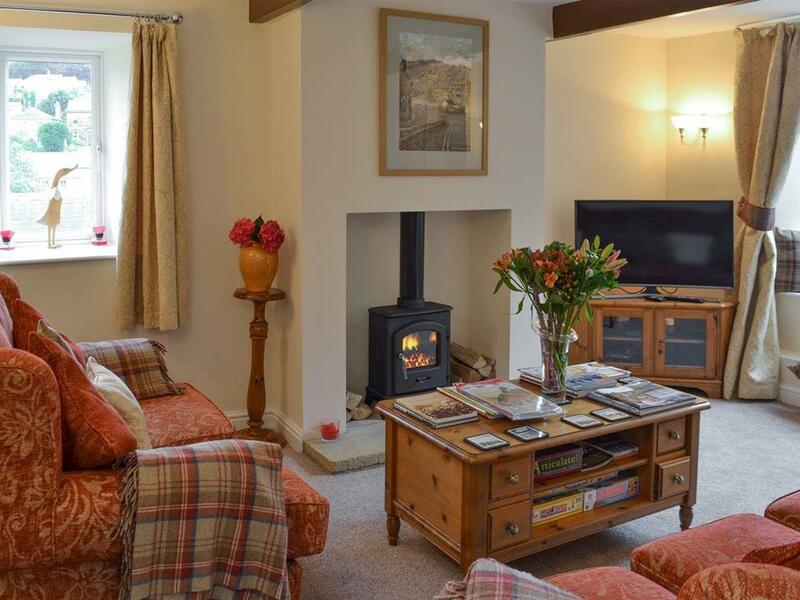 Shelduck Cottage in Holmfirth is a fabulous stone built, detached cottage, which is tucked away on a quiet cobbled back street just a minutes’ walk from the centre. Spanning three floors and with beautiful furnishings and fittings, Shelduck Cottage in Holmfirth has retained masses of character and charm. Wonderful features such as exposed beams, stone work and a simply stunning bedroom, complete with 4 poster bed and wood burner, means this property makes a wonderful home-from-home, whatever the weather. The private, sheltered back garden complete with hot tub just enhance this further. Let the bubbles transport you to a world of relaxation. Relax with a glass of wine in one hand and an unfinished book in the other, and immerse yourself in this spectacular location. Holmfirth itself has an abundance of shops, cafés, tea rooms, restaurants and pubs, and is even home to its very own vineyard which offers meals, tours and wine tasting events. Located on the edge of the fabulous Peak District National Park means there are endless outdoor opportunities for walkers. Cyclists alike will relish the chance to recreate the 2015 Tour de Yorkshire at Holme Moss. Widely recognised as the back drop for the record breaking BBC comedy Last of the Summer Wine, you can take a tour around the variety of film locations, or even visit the Picturedrome which is a fabulous venue for live music and events. The shop is 350 yards, with the pub and restaurant 160 yards from Shelduck Cottage in Holmfirth. Shelduck Cottage in Holmfirth has 2 steps to entrance. Kitchen/dining room: With electric wood burner, electric oven, gas hob, microwave, dishwasher and beams. Utility room : With washing machine. Living room: With electric wood burner, Smart 3D TV, Blu-ray player and beams. Bedroom 1: With multi-fuel burner, king-size four poster bed and beams. Bedroom 3: With double bed and beams. Bathroom: With roll-top bath, shower attachment, toilet and heated towel rail. Gas central heating, gas, electricity, bed linen, towels and Wi-Fi included. Initial fuel for multi-fuel burner included. Highchair available on request. Enclosed courtyard with patio and garden furniture. Private hot tub (at an additional charge). Bike store with fridge/freezer. On road parking. No smoking. Holidays at Shelduck Cottage run from Saturday to Saturday. Pets allowed at Shelduck Cottage. For a better idea of where Shelduck Cottage is, you can see Shelduck Cottage on the map below. Shelduck Cottage is in West Yorkshire; should you be on the lookout for a special offer, you can find all the special offers in West Yorkshire. It's always worth checking to see what is on offer at the moment. Do you want to holiday near Shelduck Cottage (UKC848), you can see other cottages within 25 miles of Shelduck Cottage; have a look to find your perfect holiday location.